Do you remember when Jay Leno succeeded Johnny Carson as host of The Tonight Show? Did you watch the Gulf War enfold on live television or catch the last episode of Dallas? These are just a few highlights from 1991. 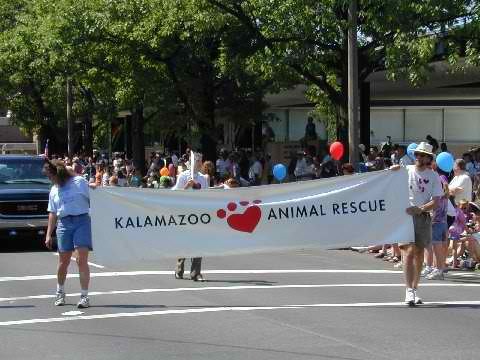 Another significant event was the formation of Kalamazoo Animal Rescue. From our humble beginnings over 20 years ago, we have achieved many milestones that have brought us to where we are today. 1991 - Kalamazoo Animal Rescue is organized by animal lover, Shannon Lentz and she serves as the rescue's president through 1994. 1996 - Local radio station, WKFR (103.3) and KAR start a Pet-of-the-Week live broadcast every Thursday morning from 7:00 to 7:30 a.m. beginning on January 18th. Following the radio show, the adoptable pet is taken to Bone Appétit Bakery on Gull Road for public viewing the rest of the day. The Pet-of-the-Week radio broadcast endured for several years. 1998 - In April, the first KAR web page is posted to the Internet. The rescue has 78 volunteers saving cats and dogs. 1999 - The first annual Dinner and Auction event is held at Gull Lake Café. Long-time volunteer, Dusty Reeds, organizes the event, sends out 300 invitations and 35 people attend. 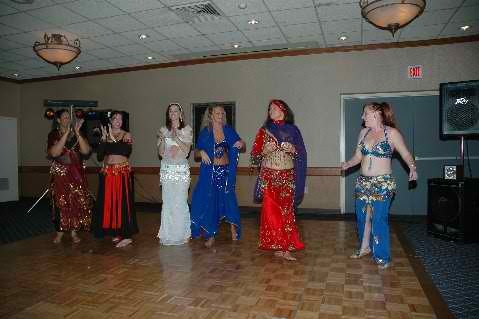 A delicious meal and entertainment is provided and the event raises about $3,500. In 2012, close to 200 people attended the 13th annual event at the Gull Lake Country Club and raised over $17,000 for KAR. The Dinner and Auction is our most successful fundraising event. 2000 - The first annual Furball, a social event to bring area rescue organizations and individuals together, is held in the spring. 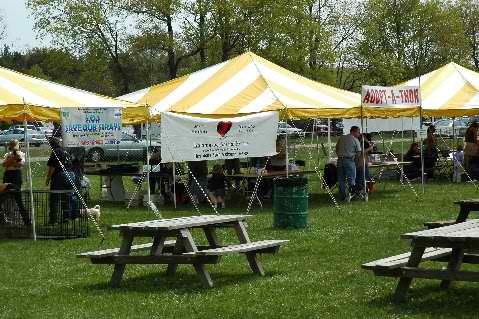 The event features music and entertainment, and raises money for KAR. The last Furball was held in May 2007. 2002 - KAR leases space and opens its first store at Maple Hill Mall in March. The retail store is open Thursday through Sunday so the general public can meet the animals available for adoption and purchase merchandise to support the rescue. Sales average about $43 a day. At this point in time the rescue has approximately 90 volunteers, 35 foster homes and has placed about 3,000 animals. A KAR volunteer creates a way for website visitors to see all of the animals that we have in the rescue. 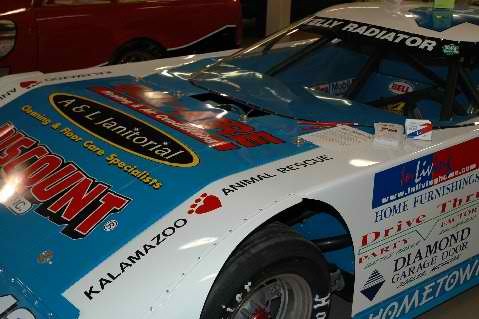 Kalamazoo Animal Rescue is on cable television in Battle Creek, Kalamazoo, Richland, Paw Paw, Portage and Grand Rapids. Once a month, the rescue tapes a half-hour program called, Unclaimed Hearts to preview the dogs, puppies, cats and kittens available for adoption. 2003 - The Maple Hill Mall store closes. KAR relocates its retail operations to Oakwood Plaza and the grand opening is held on August 2nd. The store remains open through January 2007. 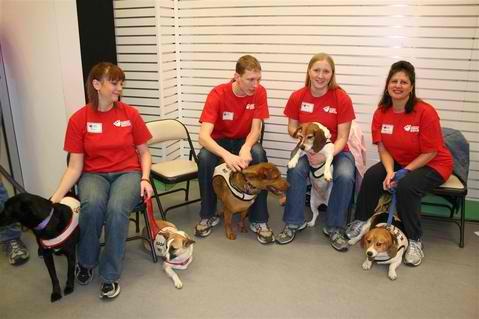 When the store closed, KAR began doing more weekend adoption events at local area pet stores. 2007 - The Senior Cat Companions program is introduced to place mature cats with people aged 60 or older. Since its inception, over 120 cats have found loving homes and many senior citizens' lives have been enriched with animal companionship as a result. 2008 - KAR Friends is launched in October. The inaugural issue was emailed to 131 people. Today, almost 2,000 people receive our monthly email newsletter and its popularity continues to grow. Check out past issues or subscribe here. 2009 - Special Animal Rescue: KAR's cat team steps in to foster 43 cats and kittens rescued from a foreclosed home in March. 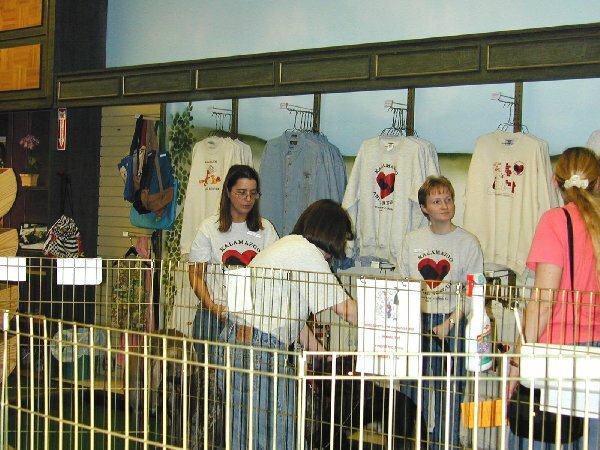 2010 - In February, Crossroads Mall offers empty store space to KAR for adoption events the first weekend of every month. During these visits, rescue volunteers tape Rescue Hearts, a 30-minute video profiling adoptable cats and dogs that airs on cable TV. In October, Portage Animal Hospital partners with KAR to offer an in-clinic adoption program for cats. Both locations have been very successful at helping our animals find new homes. The rescue adopts 395 cats and kittens, and 165 dogs and puppies during the year. KAR has 142 volunteers and 74 foster homes. 2011 - KAR celebrates its 20th anniversary. 2012 - Special Animal Rescue: KAR's dog team steps in to foster 11 dogs rescued from an Allegan County puppy mill raid in April. 2014 - Our partnerships with Portage Animal Hospital and Camp Ravenwood Kennels allowed KAR to rescue and re-home even more cats and dogs. To date, 118 felines and 35 canines have been helped/adopted through these valuable programs. KAR Friends can make gifts in memory and gifts in honor to recognize people and pets that have influenced their lives. The donations support our rescue efforts. All donations are tax deductible and donors receive an acknowledgement and recognition on our website. 2015 - Special Animal Rescue: a KAR foster home provides refuge to a new mom with ten puppies. 2016 - KAR celebrates its Silver Jubilee! Thanks to anonymous donors, KAR will forever benefit from the creation of the Dusty Reed Animal Rescue and Welfare Fund, an endowment established at the Kalamazoo Community Foundation. The fund honors the longstanding commitment of volunteer, Dusty Reeds, and the important rescue work we do. KAR augments available foster homes by launching Kitty Camp, a special in-office space for the care of felines, and for canines we have a new boarding relationship with Derspinna Kennels. Thanks to the Bissell Pet Foundation, wonderful adopters and the dedicated volunteers, KAR adopts out 25 felines on May 7th, and 67 felines on October 22 at the Empty the Shelters events. 2017 - Special Animal Rescue: KAR's cat team rallies to help over 50 felines rescued from a hoarding situation in April. KAR adopts out 69 cats at the Bissell Empty the Shelters event on April 29, making room for the the felines from the hoarding situation. KAR adopts out 53 cats at the Bissell Empty the Shelters event on May 5. A KAR foster home takes in a dog from Calhoun County Animal Center who has 8 puppies that night. Change is inevitable but a constant is Kalamazoo Animal Rescue's unwavering dedication to help homeless, stray and abandoned cats and dogs in the community. Our success resides in the dedication and compassion of volunteers and loving foster homes working together as a team; in the individuals and families that adopt our pets and give them forever homes; and in the donors, whose generosity makes saving these lives possible.